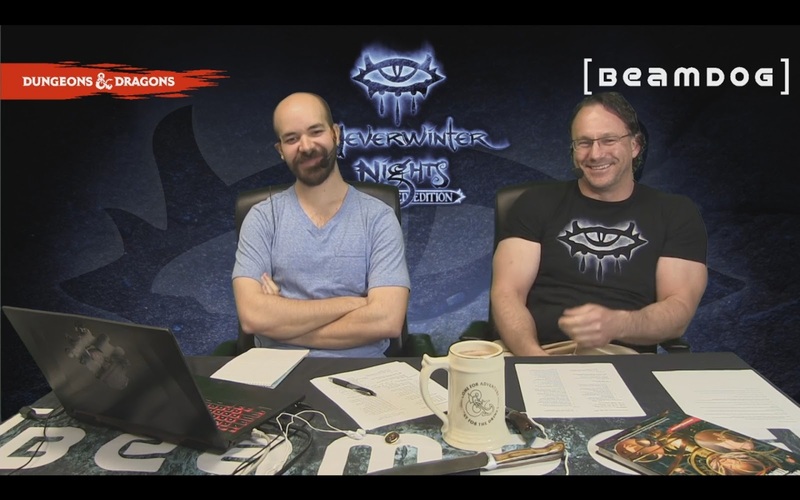 Beamdog CEO Trent Oster and Studio Director Phillip Daigle shared the latest Neverwinter Nights: Enhanced Edition and Beamdog news during today’s livestream. We had a live interview with Bernhard Stöckner (niv), a longtime Neverwinter Nights community member and one of the key developers behind NWN:EE! 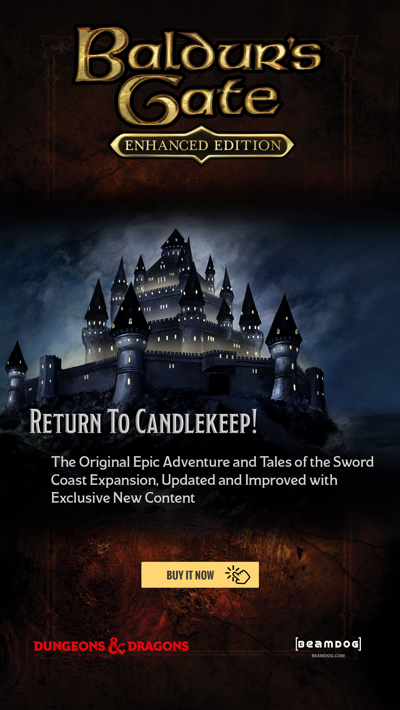 For all our Android or iOS players - Siege of Dragonspear is on sale on Google Play and the App Store! You don't need to own Baldur’s Gate: Enhanced Edition or Baldur’s Gate II: Enhanced Edition to be able to play Siege of Dragonspear. 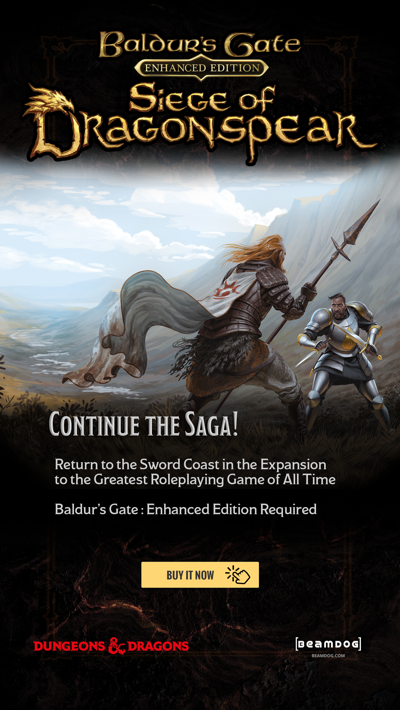 The SoD story can be enjoyed on its own with a new character (or even a whole party), although the game allows you to import and export saves to experience the entire Baldur's Gate saga in one epic adventure! Update your journal! This is your last chance at the new Beamdog.com launch sale. Save up to 66% off Infinity Engine titles! We have added all kind of payment options and now can take payments in different forms. Discover the truth about the great conflicts of the D&D multiverse in Mordenkainen's Tome of Foes. Neverwinter Nights: Enhanced Edition development build 8174 is available for the Beamdog Client and Steam. We urge players to test the new build extensively as the first stable for NWN:EE is coming closer. You can vote on your favourite suggestions for Neverwinter Nights: Enhanced Edition on our Input Trello board. If you have a request that is still not on the Trello, share it on our forums and get feedback from other players. We’re constantly exploring different concepts for our future projects. We like the idea of the The Black Pits III, but if we do it, most likely it wouldn’t be in the Infinity Engine. According to Phil, there’s no reason why Baeloth the Entertainer can’t show up in 3E or 5E. 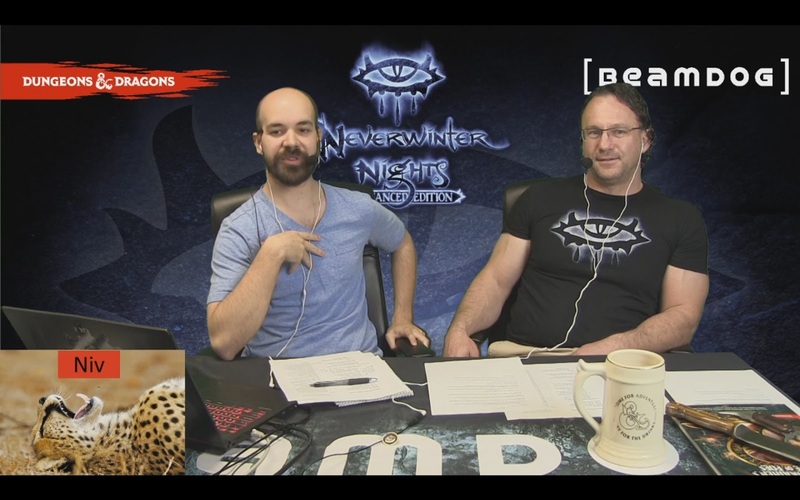 Niv, now the technical director on the NWN core team at Beamdog, got involved in the Neverwinter Nights community many years ago. He had wanted a toolset/toolkit style of game in forever, so after watching the E3 trailer he was hooked immediately. The NWNX (which niv calls “Nixie”) was a tool that expanded Neverwinter Nights options and opened the door to running servers with 200 people on them. “Nixie” is continuing to be developed today. 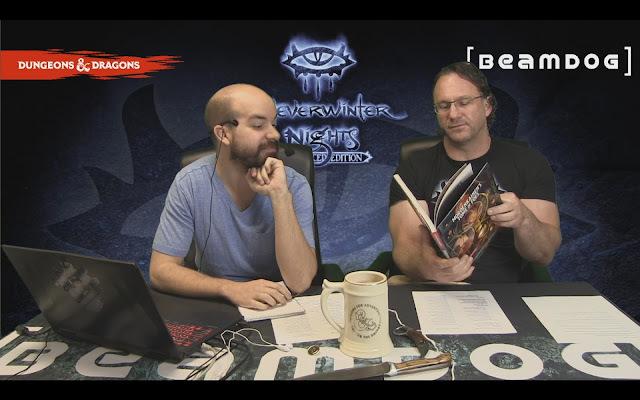 According to niv, something that is really special about Neverwinter Nights is the community that keeps doing amazing stuff. There’re 3 TB of community-created content available on the Neverwinter Vault, go check them out! The future of Neverwinter Nights is bright, with modders looking forward to using the EE tools. There will be no stream next week, but watch us at the Stream of Many Eyes. Follow Beamdog on Facebook and Twitter for all the fun!